Since inception of Indian society, woman have been treated with dignity and respect, though at times we do find that they have been deprived from their basic human rights. They areknown as transformers of organizations, society and mother of the race. Women have advanced in every walk of life right from invading male dominant sectors or breaking out from the confinement of the household chores and family duties. They seek employment mainly for economic independence,necessity, some are qualified enough to work for a sense of achievement and to provide service to the society. Commonly hired on short-term contracts or with no contract, all women are working at high speed for low wages in unhealthy conditions. They are forced to put in long hours to earn enough to get by. Modi Government made an initiative to give them their basic employee rights by Amendingthe Maternity Benefit Act. The Maternity Benefit (Amendment) Act 2017, passed by the Indian Parliament increases the maternity leave available to working women from 12 weeks to 26 weeks for the first two children. 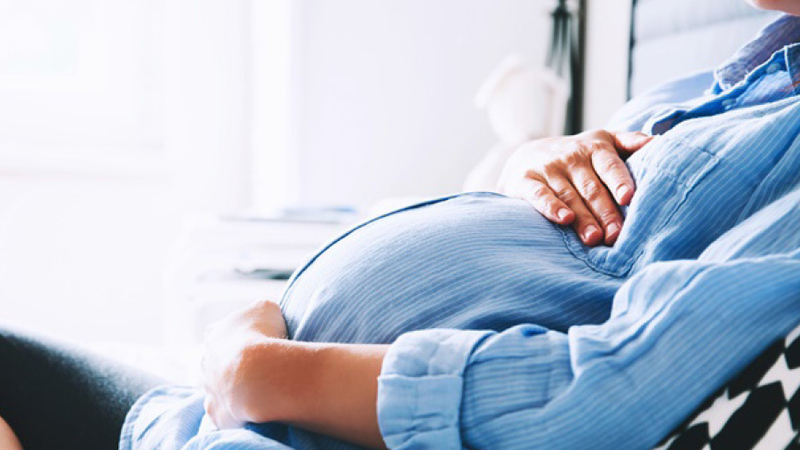 Maternity leave for children beyond the first two and to mothers adopting a child below the age of three months as well as the commissioning mothers (surrogate mother) will continue to be 12 weeks. Along with this,every establishment with more than 50 employees will have to provide for crèche facilities for working mothers and they will be permitted to make four visits during working hours to look after and feed the child in the crèche. According to various research studies and psychologists’ women are known to be great administrators and have a capability to perform multiple tasks. They are preferred in work roles where consistency and multitasking are required apart from their professional training. But what creates an obstruction in getting them their employee rights in a work space, is the changes in their life cycle. The Amendments in the existingAct were taken up so that working woman gets exclusive time to breast-feed her child for 6 months after the birth. It not only secures them financially but also gives them time to recoup after pregnancy. Creche` facility for working mothers in their office premise has been a great factor in making them more entwinetowards their job rolesby putting them in the centre. It helps in achieving healthy pregnancy and avoiding miscarriages or premature birth. India is considered the third most progressive country after Norway and Canada to have moved in the direction of providing maternity benefits. This has been a big step forward toreduce the gender gap and has brought them closer to the workplace.Women working in the organized sectors have been known to be overworked, invisible, unrecognized, unremunerated and displaced by men. The benefit of the AmendedAct has been the first step forward in empowering working women with their employee rights. It is estimatedthat the workforce participation rate at all India level is 25.51% for females. The amendment in the Maternity Benefit Act safeguards the needsof thesewomen while they are nursing a new born. Previously their perilous financial position, compelledthem to return to work sooner than they should due to job insecurity, invariably jeopardizing their own and the infant’s health. This affected the health of the child anddeprivedthem from having proper nourishment at an early age. Most of the women working on contractual jobs faced huge exploitative work conditions and were nowhere recognised under the purview of labour law, so the question of availing any employee benefits was farfetched, the Amended Act facilitated their basic rights irrespective of their rank and type of employment. Currently, women employed in small scale establishments with 10 or more employees are eligible for paid maternity leave up to 12 weeks under the Maternity Benefit Act. There are various other labour laws providing for maternity benefits, one such being the ‘Employees State Insurance Act, 1948’. This provides for payment of wages to an insured woman, during her 12-week maternity leave. Women employed in newspapers or working as journalists are entitled to similar maternity leave under the Working Journalists (Conditions of Service) and Miscellaneous Provisions Act, 1955. Central government provides their women employees about 24 weeks of paid maternity leave and additional child care leave up to a period of two years. In India women represent only 24% of the paid labour force, as against the global average of 40%, according to a recent gender parity report. The Amended Maternity Benefit Act has helped to minimize the gender gap of women’s participation in national work force.The economic loss of non-participationof women has adverse impact on the economy therefore this was initiated to give work space benefits.The Act further requires an employer to inform a woman worker of her rights and benefits at the time of her appointment. The main objective of the Act has been to regulate employment for women during the period of child birth, while falling in line with the international best practices such as the Maternity Protection Convention, ILO 2000(No183). An awareness drive needs to be taken nationwide in order to impart the knowledge of the Act and its benefits as not much has been done. There is a constant need for monitoring the implementation of the law in various sectors for insuring the access of the benefits to pregnant women. The Amended Act is undoubtedly well-intentioned,changing the mindsets of the employersis what needs to be worked on.